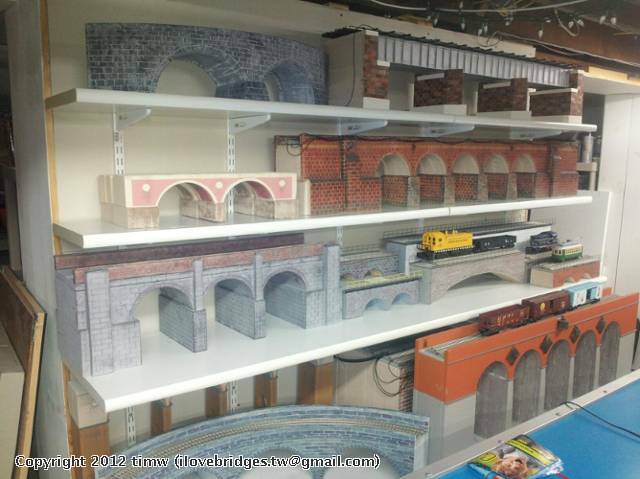 Here is a collection of some of my single and multi arch straight and skew, single and double track stone arch bridge and girder bridge display models, representing some that I have made for other model railroad enthusiasts. 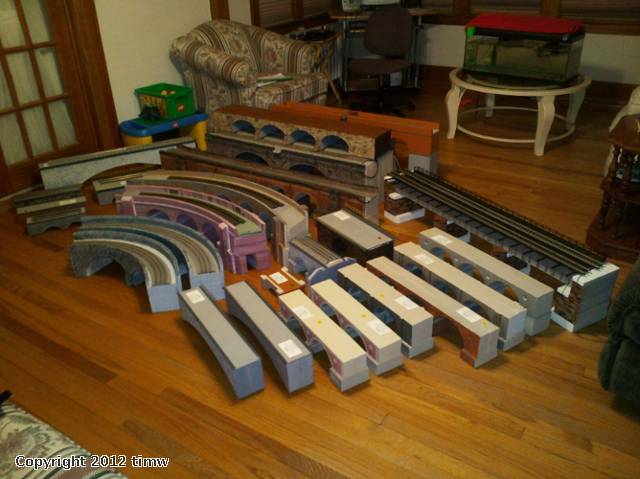 If you see anything here that you like, I can also make you one for your railroad for a reasonable price. 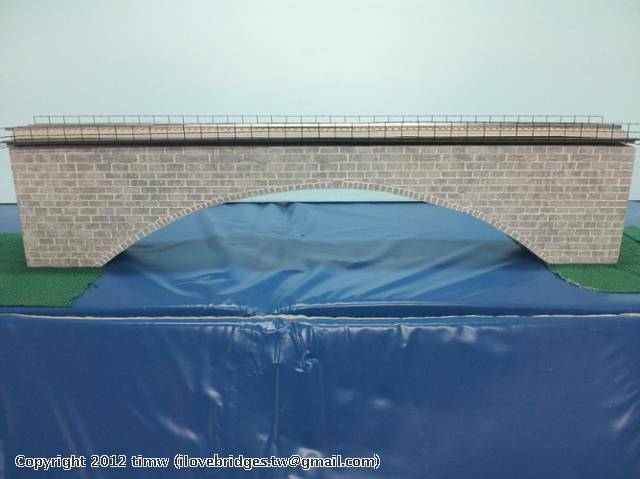 I can make single or multi arch, straight, curved, or skew arch bridges, high or low, single or multi track. I make them almost entirely of EPS building foam, and sometimes a little wood here or there, but primarily foam. They are very strong, and I engineer that into them. I will work within anyone's budget to make them one fine bridge. 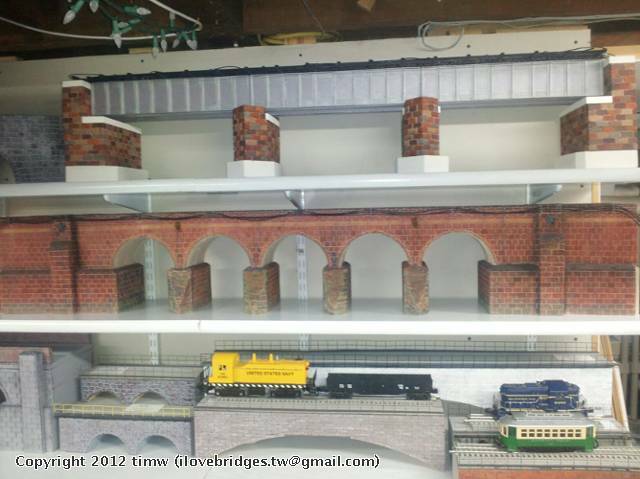 I plan on adding more bridges to my display as time allows, hopefully something new every month or so. My prices are based largely on your budget and what "you can afford", as opposed to "what I charge", and I can be most reasonable and generous. If interested in something here or on any of the other pages of my blog area, please do not hesitate to inquire by email at ilovebridges.tw@gmail.com. Upon starting your bridge, I will provide you text or email photos of it as it progresses through construction, with no payment required to begin construction. Payment only required after completion of bridge prior to shipping, after final photos are provided to client, and client's acceptance of work performed based on the provided photos. Cash, check or money order would be required at that point, and your finished bridge will be shipped (customer pays shipping, and I try to keep it as economical as possible, I will let you know cost, beforehand). 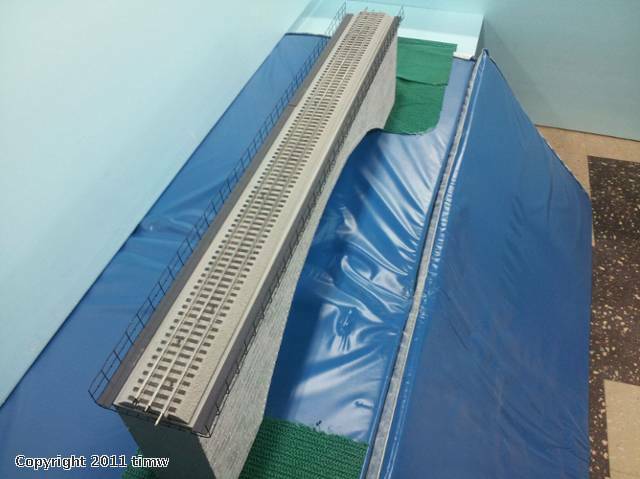 If interested in having a custom built bridge of this nature, or something specific to your railroad, please feel free to contact Tim by email, at: ilovebridges.tw@gmail.com. Also see some of my other posts for different angled pictures of these bridges, and a few others that didn't make it into these photos. 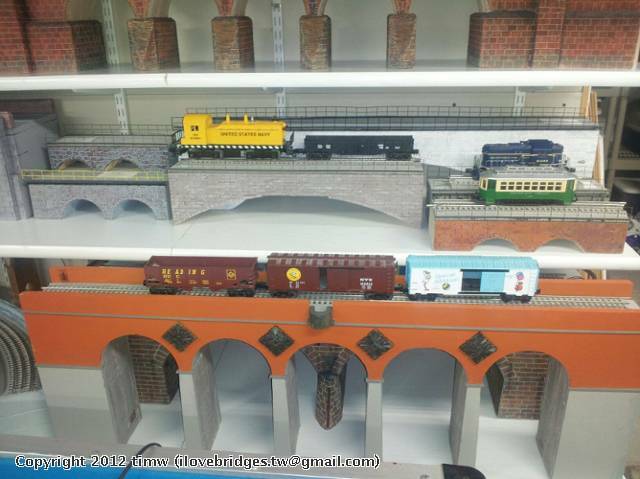 And...yes, that is a 3 or 4 track, two arch version of the real Rockville bridge back there(which may go to York someday on display), behind the five arch high bridge. You can see other pictures of it and its two track sibling elsewhere on my website.